The forthcoming Late Night host has jokes, and when Ellen DeGeneres laughs at your jokes, everything's all gravy. 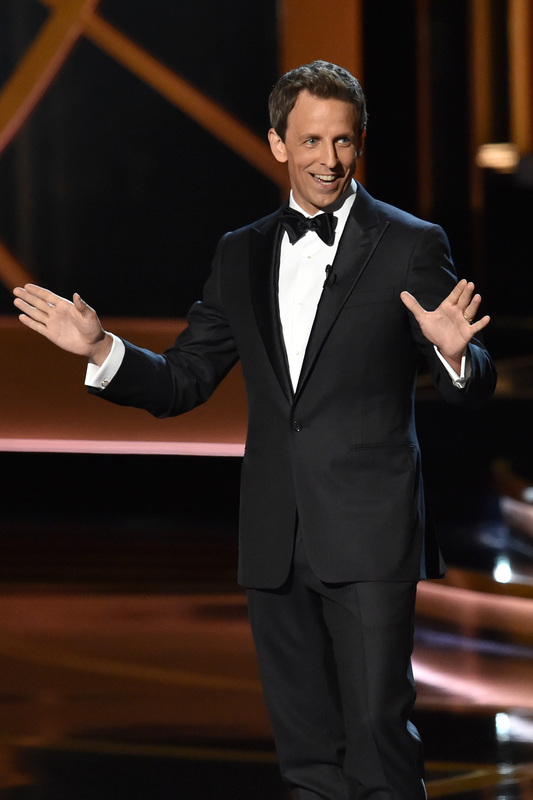 Seth Meyers was on Ellen on Tuesday where he gave the audience a little taste of what they can expect when Late Night with Seth Meyers debuts on Feb. 24. Meyers told DeGeneres that he's excited for the transition, because it's a job he'll be able to do every day. "I'm most scared about this part, about interviewing people," Meyers says. "I've never done that before. I interview people on 'Weekend Update' but they're all fictional characters." So DeGeneres, being the helpful person that she is, decided to prep Meyers for interviews by holding up pictures of celebrities to test out what he would say to them on the spot. Here's what he said. Kanye West: "Great to see you, Kanye. Nice sunglasses — you're inside. Was your video with Kim Kardashian green-screened, or did you actually drive a motorcycle across America?" Chris Christie: "If you were president, do you think you could bridge the gap between the two parties, and do you promise to keep that bridge open?" Kim Kardashian: "Kim, you look beautiful. Who do you think loves your husband more, you or your husband?" Clint Eastwood: "Mr. Eastwood, would you like a chair, or did you bring your own?" Ellen DeGeneres: "Hey, remember when I was on your show and you put me on the spot with that game? Why did you do that?" Everything's coming up roses for Meyers, and I'm super excited for Late Night. Now if only Bill Hader would come on the show in full Stefon character, my life would be made.